Shop online for 8 kite accessories at discounts up to 20%. 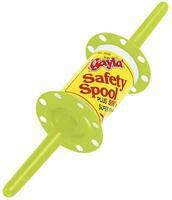 This is the Gayla 500' Fluorescent Safety Spool. 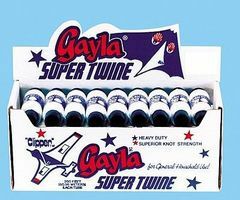 This is the 200' White Super Twine (36pc) by Gayla Industries. This is the Gayla Kite Reel Suitable for Ages 8 & Older. This is the Gayla 300' 50 Lb. Test Nylon Twine. 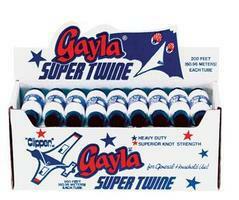 This is a 400' Spool of Super Twine from Gayla. 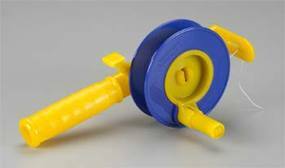 Stake Line Winder, 90# x 500 ft.
Stake Line Winder, 30# x 500 ft.
Stake Line Winder, 50# x 500 ft.